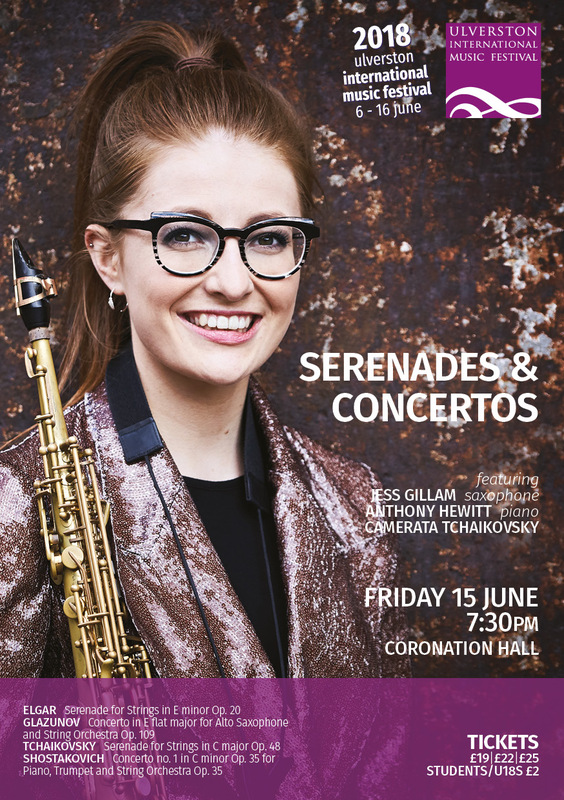 Jess will be back in her home town on the 15 June to play at the 15th Ulverston International Music Festival. She performs Glazunov’s Concerto in E flat major for Alto Saxophone and String Orchestra Op. 109 in an evening titled ‘Serenades & Concertos’. It also features the Festival’s Artistic Director, pianist Anthony Hewitt playing Shostakovich’s Concerto no. 1 in C minor Op. 35.